If you're looking to turn your master bathroom into a masterpiece, or perhaps get creative with your cloakroom, the new Deco Bathroom Suite from VictoriaPlum.com can help bring your ideas to life. With a bold, curvaceous design, the Deco Bathroom Suite presents a style that is altogether timeless. As you can see from our set design, despite being a contemporary suite with features common to modern ceramics, the suite can be accessorised with traditional flourishes when used in a period setting. 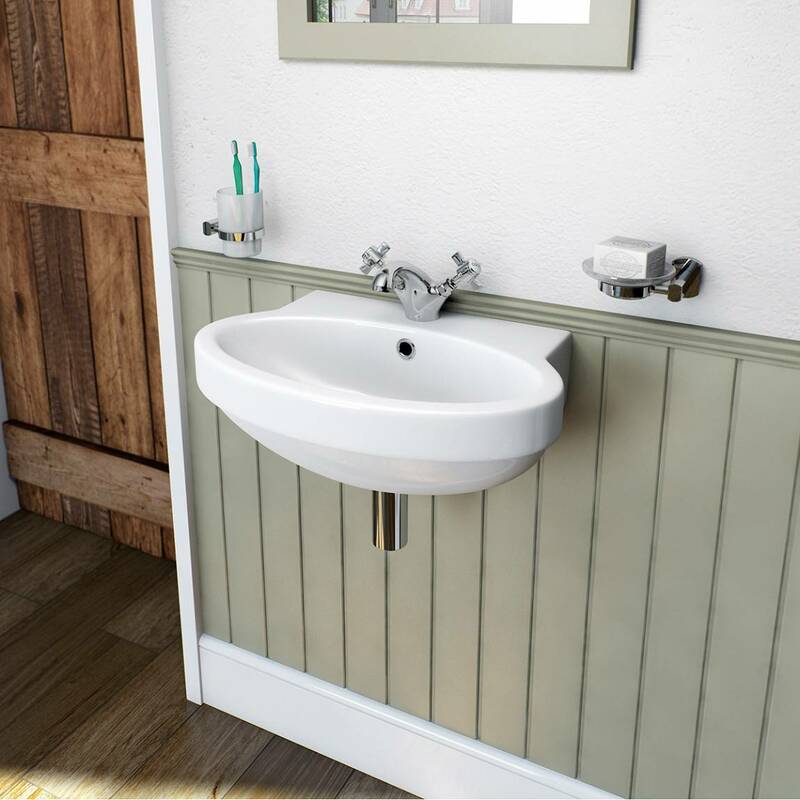 Whether you're looking to completely restore your old family bathroom or simply looking to touch up a downstairs cloakroom, the Deco Bathroom Suite will provide you with the just the right items to suit your needs. Within the Deco Range, you'll find a choice of close coupled or back to wall toilets. 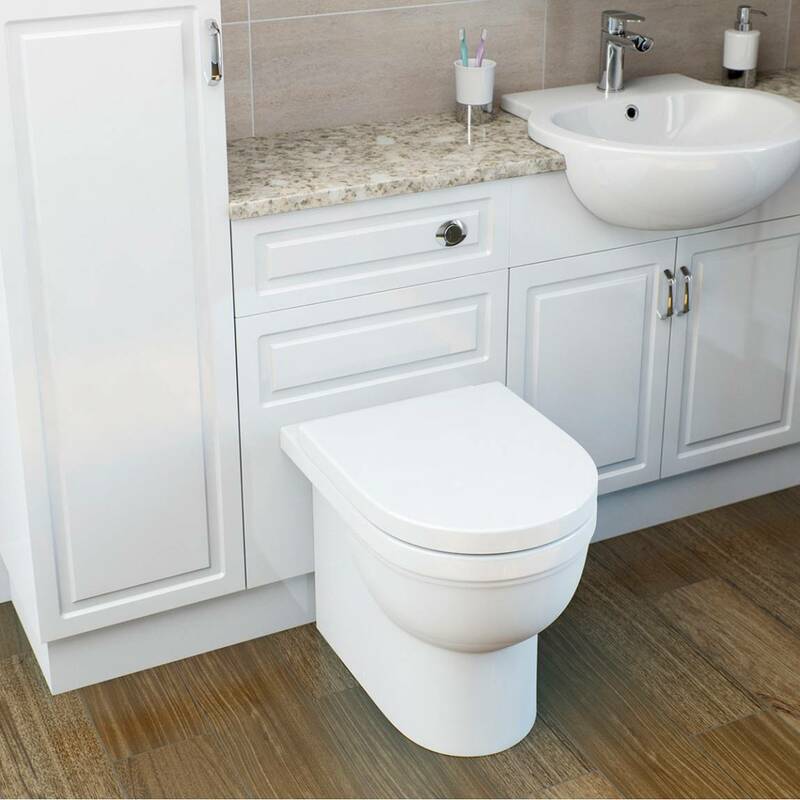 The Back to Wall Toilet (pictured below) is especially suitable where you are looking to achieve a more modern style and can be coupled with a unit or fitted furniture to stunning effect. 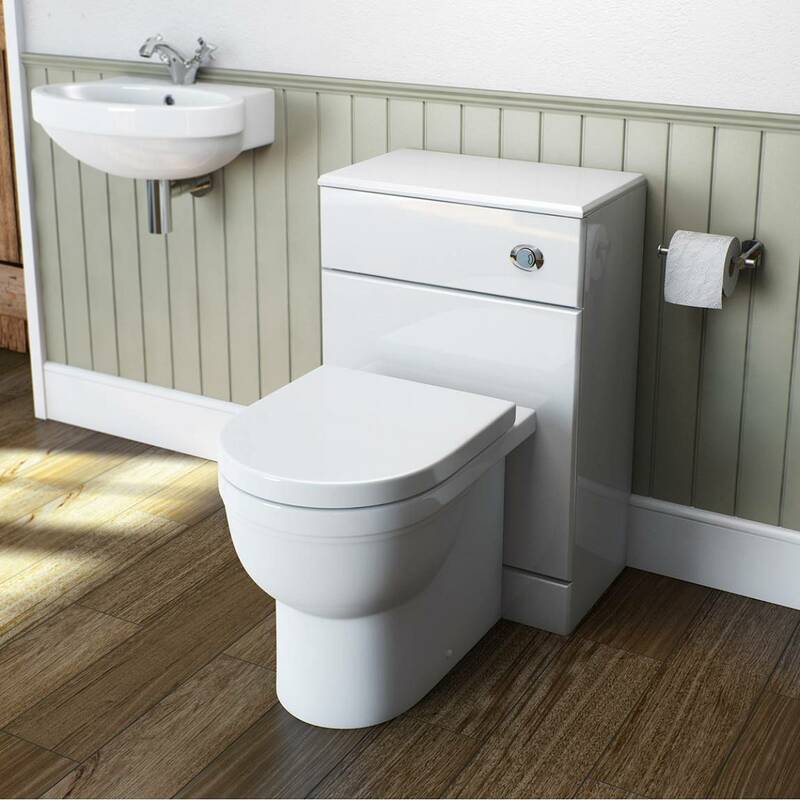 The Deco Back to Wall Toilet can be used with fitted furniture. There is also a choice of basins, from the elegant Pedestal Basin, which would grace any master bathroom, to the Wall Hung Basin which is ideal for cloakrooms or smaller bathrooms. Manufactured from high quality vitreous china, both basins can be accompanied by a contemporary or traditional basin mixer tap to finish off the look. The Deco Wall Mounted Basin - Ideal for cloakrooms or spaces where a pedestal basin would be too imposing. At VictoriaPlum.com, buying for your bathroom is now as easy as painting by numbers! As with all products, the Deco Suite comes with a guarantee of up to 25 years. Find the inner-artist in you with the Deco Bathroom Suite!